The specific model case aimed to develop and test transnational MSP governance methods as well as interlinkages between national and local levels in Lithuania. The case complemented the ongoing process by developing and testing multi-level governance instruments. 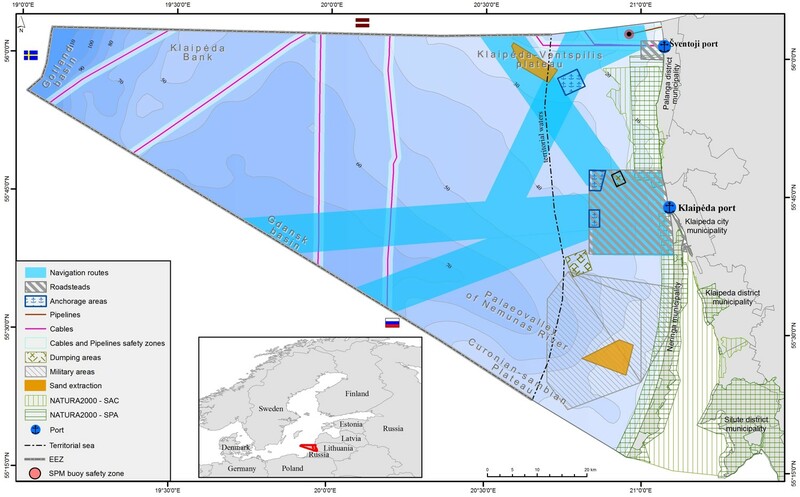 The Ministry of Environment of Lithuania initiated the extension of the existing Lithuania General Plan with maritime spatial solutions for the whole Lithuanian EEZ. The scope of the official process ensured sufficient resources for the planning expertise as is obligatory according to the existing (mainly terrestrial oriented) legislation and foresaw a number of formal stakeholder and governmental institution consultation events. It did not, however, cover specific transnational dialogue with neighbouring countries (Latvia, Sweden, Russia/Kaliningrad) as required for a conceptual international MSP model. Nor did it foresee a comprehensive mechanism on communicating properly along the vertical governance line from the ministerial level down to seacoast municipalities. Therefore, in the framework of PartiSeaPate project, a supplementary model case was developed in order to fill this gap and facilitate the public/international approval and acceptance of the prepared spatial solutions. The model case was a supplementary activity to an official planning process with particular focus on multi-axial stakeholder consultations and participation in order to facilitate the acceptance and approval of official MSP. There was a directly positive impact to the official planning process especially on a transnational level. The cross-border consultation platform (especially with Latvia) developed during the Model Case was the key success factor for the official SEA process organized on the ministerial level. 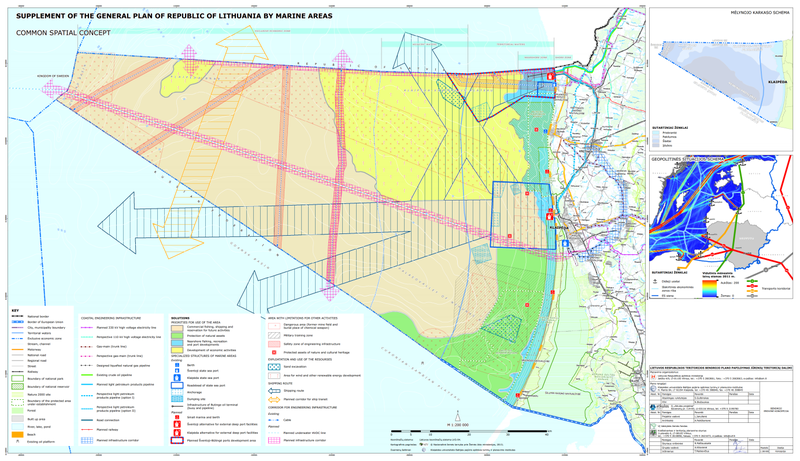 The area under the planning process consists of Territorial (TW) and adjacent waters, exclusive economic zone (EEZ), including continental shelf of Republic of Lithuania according the Resolution of Government of Lithuanian Republic (Žin., 2004, Nr. 177-6573). The Lithuanian Model Case was developed during the implementation of Interreg BSR Programme project – PartiSEApate. across neighbouring countries - ensuring a smooth transnational consultation with Latvia, Sweden, Russia/Kaliningrad regarding MSP instruments to be used, content and topics with transnational implications. The minimum required national public participation was ensured during the formal MSP process. The focus of the Model Case was specifically oriented to involve preselected sectors and also attract stakeholders of neighbouring countries (Latvia and Russia). And one public awareness meeting in Russia - Baltiysk, Kaliningrad Oblast Region, November 7, 2013. The official transboundary consultation process was organized on a Ministerial level in the framework of the official MSP process.